Hobo is more than just another hotel. It’s a place where we live, create and play better together. Simply put – our idea of a community, one created by everyone in it. Award-winning Hobo hotel consists of 201 rooms, two bars, one restaurant and the popup space called SpaceBy. All in an open flow environment merging together in the middle of Brunkebergstorg in Stockholm. 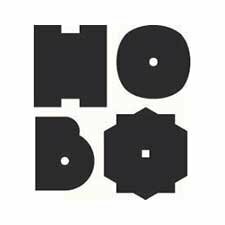 Creativity and challenging the accepted is what Hobo is all about and now we are looking for our new General Manager. We are looking for a passionate General Manager with overall responsibility for all matters concerning brand as well as the strategic and operational work. Your focus is to continue developing hobo as a brand and create new business opportunities within the national and international market. You are a natural leader with good self insight and a clear and inclusive leadership. You have a good ability to act proactively both in strategic and operational issues. You are analytical & organized as well as sales-driven and focused on the details, you like to challenge the status-quo and enjoy working in a high paced environment. General Manager reports directly to, COO Nordic Hotels & Resorts Trond Bastiansen. Welcome with your application latest the 3d of May. The position can be placed before the latest application date. For questions regarding the position please contact Tina Tropp Jerresand People & Culture Manager Nordic Choice tina.tropp.jerresand@choice.se.